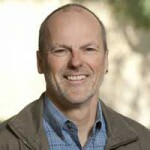 Chris Elliott is the Executive Director of the Climate and Land Use Alliance (CLUA). Before joining CLUA, he worked for WWF in a variety of capacities for over twenty years, initially as China Program Coordinator, and most recently as Executive Director, Conservation at WWF International. Before joining WWF, he worked for The World Bank, the Bank of Boston and for a Swiss foundation focusing on organic agriculture and natural medicine. Chris has been closely involved in major forest conservation initiatives in the Congo Basin and the Amazon, and led the development of a global partnership between WWF and IKEA. He worked on the establishment of the Forest Stewardship Council and was the organization’s first Board Chair. His education is in plant sciences, forest policy and ecosystem management at the universities of London, Yale, and the Swiss Federal Institute of Technology. His doctoral dissertation was on forest certification as a policy instrument. He is an adjunct professor at the Faculty of Forestry, University of British Columbia.